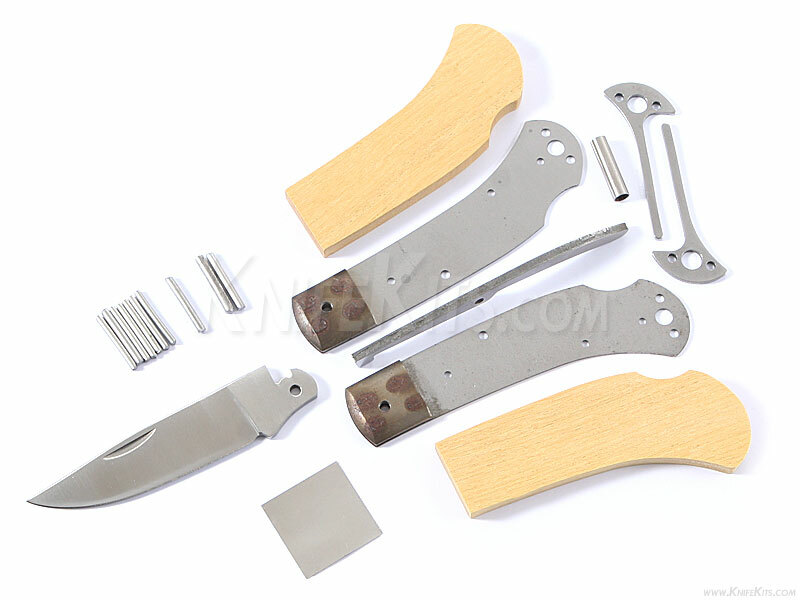 The Sheriff Lockback kit has a 2 5/8" satin finished flat ground blade made from 440C stainless steel. It has been cryogenically treated for additional toughness and edge holding performance. The bolsters, pins, tubing and liners are made of stainless steel. This lockback design is 4" closed and is 7" when open. 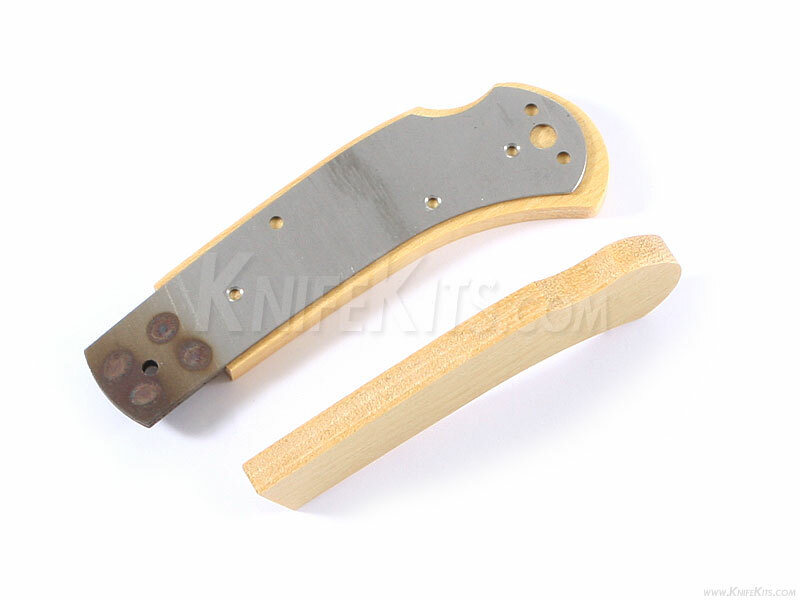 This is a sharp knife design and can make a terriffic finished custom in the right hands. This version is the combo kit. It comes with all knife assembly parts, including pins, springs, thong hole tubing, pre-machined Yellowheart handle scales and a gift box. Add a touch of proper finishing and you will create a fabulous multi-blade folding knife that you'll be proud to carry and own for years. 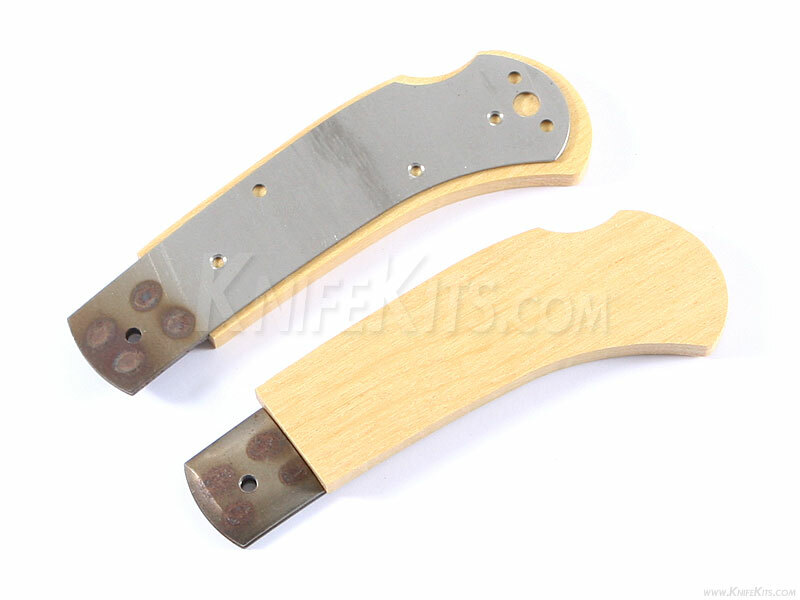 *NOTE - Completed kit models displayed on this web site may be modified and are for display purposes only!